As much as we all may want to eat an entire avocado in one sitting, the recommended serving size is just 1/4 of a medium avocado. If you’re following a Beachbody program, that’s about one blue container’s worth — not a whole heck of a lot, I know. To add insult, avocados aren’t cheap and don’t particularly keep all that well once they’ve been cut. 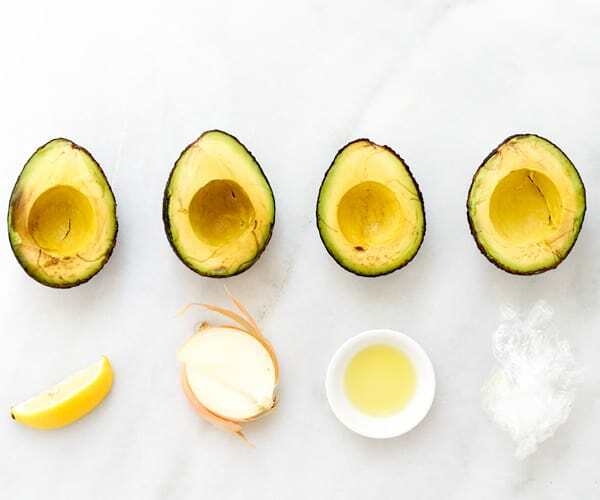 Ask a handful of people what the best way to store a cut avocado so it doesn’t turn brown and you’ll most certainly get a handful of different answers: Brush it with oil! Rub it with lemon juice. Wrap it up nice and tight with plastic wrap (which is actually impossible to do, by the way, because plastic wrap doesn’t really stick to anything… except itself). So what is really the best way to keep an avocado from turning into a brown, slimy mess? Well, rule number one is to keep as much of that beautiful green flesh covered to minimize air exposure. It’s this that causes the avocado to turn brown, and ultimately spoil. If you’re looking to preserve a cut avocado, a horizontal cut exposes the least amount of flesh. Just stand the avocado cut-side down in a small bowl and it should last for days in the refrigerator. 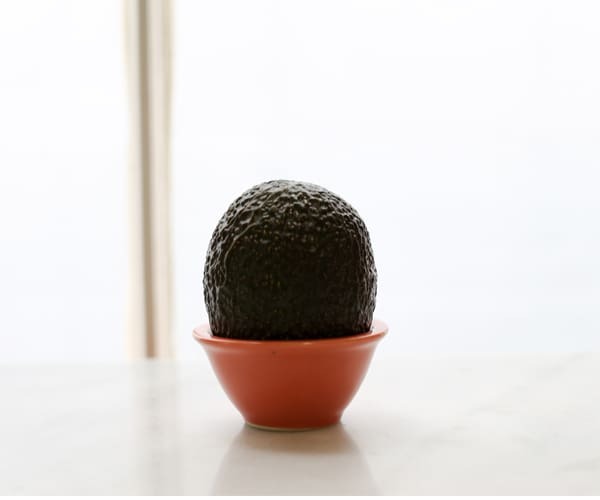 This is the best way to store a cut avocado. Unfortunately, cutting it this way isn’t the most practical if you also want to eat it. Unfortunately, the horizontal cut isn’t the best way to cut an avocado — a lengthwise cut is, particularly if you’re wanting slices or cubes. 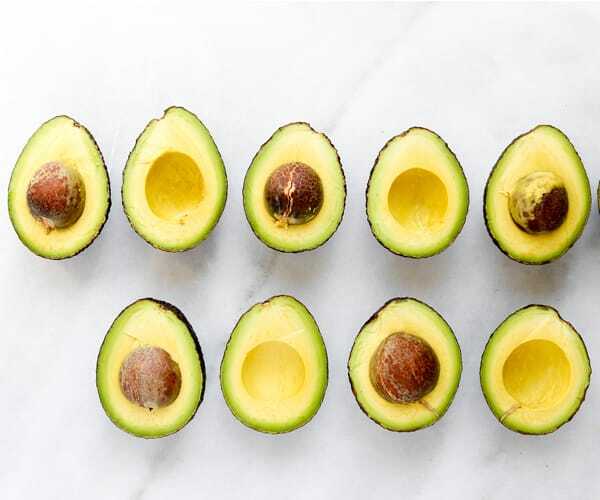 But, if you don’t use the entire avocado, storing the leftovers becomes trickier (because more of the flesh of the avocado is exposed to air). To find out the best way to store an avocado cut lengthwise, I purchased five perfectly ripe avocados — all of similar color and firmness — and put four of the most common preservation tactics to the test: I stored one alongside a cut onion, coated the cut side of another with cooking oil, brushed the flesh of a third avocado with lemon juice, and tightly wrapped (well, as tightly as humanly possible) a fourth with plastic wrap. Here’s how they looked just before they went into the fridge. For science! Of course, there was also a control, which I left totally untouched. (My fourth grade science teacher would be so proud.) With the exception of the plastic-wrapped avocado, I placed each cut avocado into an airtight food storage container (some with a fruit or veggie) and popped them all into the fridge. And there they sat for 48 hours, much to my husband’s chagrin. After the two-day waiting period, we carefully evaluated each for appearance, taste, and texture. Much to my surprise, the lemon – brushed avocado fared the worst. It browned the most, felt slimy to the touch and, not surprisingly, took on a somewhat citrusy flavor. I honestly didn’t expect the onion to do much in the way of preserving the avocado — and looking at the control, I’m not sure it did — but it certainly fared better than the lemon. Texture-wise, it stayed pretty firm though the avocado did take on a noticeable oniony taste… not so bad if you’re mixing in into guacamole. The oil-coated avocado did pretty well — certainly better than the lemon juice and onion. The flesh remained moist but firm (not slimy). I used a neutral-flavored canola oil and, while I didn’t notice any change in flavor after the initial 48 hours, the avocado did taste a little off after 72 hours. The plastic-wrapped avocado didn’t do too badly either, especially considering the pit made it impossible to get an air-tight seal. All-in-all, the flesh remained firm and moist and the flavor unchanged. Oddly enough, the untouched avocado that sat by itself in a plastic food container could arguably have been the best of the bunch. The flesh seemed a touch drier than the oil-brushed avocado but not any more so than the plastic-wrapped one. So, what is the best way to store a cut avocado? If it’s cut horizontally, simply place it cut-side down in a small bowl to seal off the exposed flesh, and stick it in the fridge. If it’s sliced lengthwise, an airtight food storage container or small plastic bag might be the best and easiest option, though adding a light brush of neutral-flavored oil before snapping the lid shut might keep the flesh a touch more moist if you’re planning to eat it within 48 hours. Beyond that and the oil may go rancid, which is what I suspect happened with mine. Plastic wrap will also do the trick but, if you’re in and out of the fridge several times a day like we are in our house, it will come unwrapped at some point — which is strangely far more annoying than it sounds. All photographs by Elle Penner.